WOOTW | Robert Mitchell Jr. The story is that two pit bulls killed and ate their owner. As tragic as that is, it’s still a fact. Dogs kill about 40 people a year in the United States. I’m an early morning runner, walker and hiker who likes to go the park and do calisthenics. So I’ve had five dog related incidents. The breeds were: German Shepherd, Mutt, Golden Retriever, Chow and Black Lab. I escaped bites in three cases. The Chow got me on the thigh, the Retriever on the hand — and these were the only two that were leashed. Approximately 4.5 million dog bites occur each year in the United States. 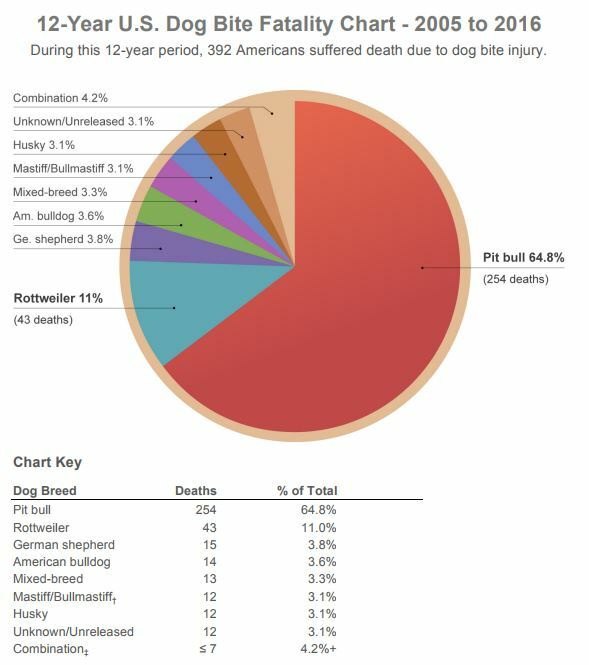 65% of the 392 dog bite deaths from 2005 – 2016 were attributed to Pit bulls. In 2015, more than 28,000 people underwent reconstructive surgery as a result of being bitten by dogs. Dog bites and other dog-related injuries accounted for more than one-third of all homeowners insurance liability claim dollars paid out in 2016, costing more than $600 million. I really wish that dog owners would maintain control of their pets, obey leash laws and be mindful that millions of their fellow citizens have been previous victims. With all of this in mind, here are my self-defense recommendations with regard to dogs. Carry a weapon and practice using it. I walk/run/hike with either a tactical pen or a walking stick. I train regularly with both, hitting actual objects to maintain command and mastery of my weapons. Pocket your cell phone and don’t wear ear buds. Use your full attention and all senses to monitor your surroundings. Treat all dogs over 30 lbs like loaded guns. Don’t trust dogs on leashes. Owners often cannot control their own dogs. The Chow that bit me easily yanked the leash from his owner’s hand to get his teeth into me. Maintain distance. Skirt all unfamiliar dogs by at least 30 feet. If a dog enters your space, ready your weapon and be prepared to take action at first contact. Assume all dogs are going to bite you. Disregard social conventions. If an unleashed dog over 30 lbs approaches you and you feel threatened, move away, present your weapon and loudly inform the owner that if the animal comes any closer you will kill it. Owners usually grab their dogs and put them on leashes when you do that. Assume that any dog coming toward you is a threat. If shelter is nearby — a car, house, shed, high fence, etc. — get there. But walk, don’t run. And don’t turn your back. If caught in the open, ready your weapon. Raise your free arm and shield your face and throat by grabbing the cloth of the opposite shoulder. Turn your body at right angles to protect your groin. Do not run. Stand your ground and very slowly advance toward the animal. Imagine and visualize you are going to kill it — that you are going to rip it limb from limb like a stuffed animal — even if you are unarmed. Your body language will reflect your mindset. Note that this advancing and visualization piece is at odds with expert advice. But I deterred a large German Shepherd using this method, and I think it works. You need to make your own choices. If the dog attacks you, do not pull away. That will only injure you more and, even if you get free, you’ll just get another bite. Let it stay latched on while you strike at it repeatedly, yelling with each blow, until it lets go and runs. A strong dog can easily drag you off your feet. If that happens, assume safety position. Get on your hands and knees with your forehead on the ground, interlace fingers behind your head, pull your elbows in, and tuck into the tightest ball you can until the dog leaves or help arrives. * 40 x 20 HIIT — see video below. Set timer for rounds of :20/:10 or just set a timer to 30-second intervals and rest for a 10 count whenever it beeps. For the first 20 rounds, cycle through Leopard Walks, Shrimps, Tiger Push-ups, Scorpions and Bear Walks (4 cycles through those 5 exercises = 20 rounds). For the next 20 rounds, go at your heavy bag with full power — as if your life depends on it! * Tarot Meditation. Set a timer for 5 to 10 minutes, stand up The Moon card from your Tarot deck at eye level and spend the time stepping into the card. As you regulate your breathing and stare at the card, allow the image transition in your imagination from artwork to photograph and from photograph into a movie. Allow your experience to unfold in your mind’s eye. If you don’t have a tarot deck buy one here. Or just print out the photo above and use that. 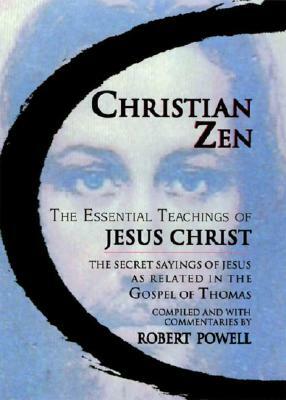 I just finished reading Christian Zen by Robert Powell. And while it isn’t perfect — it’s too short, it assumes a working knowledge of Zen, it doesn’t cover every saying in the Gospel of Thomas, and it doesn’t tie the G.O.T. back to the four canonical Gospels — it did give me another perspective from which to view Christ Jesus. Here are the high points of what I learned from the book. To be clear, the book didn’t make these points explicitly, it just put me in the frame of mind to see them. And, to be honest, I think it helps if you read it right after you read some books by Alan Watts. The title “Prince of Peace” refers to inner peace. I always thought it mean peace as in the opposite of war. How did I not know know this already? Christ Consciousness and Buddha-mind are opposite ends of the same stick. A Zen koan is a Christian parable. I believe that the similarity between what a student of Zen might call Buddha-mind and what a Christian might call Christ consciousness is more than just skin deep. Apparently the author of the koan “Not Far From Buddhahood” agrees with me. Atonement is “At-One-Ment.” No, seriously. It really does mean that — for real. This one should help you burn off some of those holiday treats. One nasty, 10-minute HIIT (High Intensity Interval Training). Set a timer for 20 second intervals. Complete 6 runs through the following 5 intervals: Jump Squats, Twisters, Get-ups, Clap Push-ups, and Rest. 6 sets of 5 = 30 intervals (10 minutes). Eat or drink something and experience it fully. Doesn’t matter much what you do, just do it with complete care and attention to detail. Make your lunch and eat it. Make tea and drink it. You can even cut a piece of bread, pour a glass of wine, and try to experience “at-one-ment” while you consume them. Here is Nolan’s ikigai diagram. Click the picture to read his excellent article. What’s remarkable is that the diagram often associated with ikigai is also the symbol we in the martial art of Cabal Fang call the Rose of Barachiel. I don’t think this is a coincidence. If you’re going to find your ikigai — a reason for being that resides at the center of passion, vocation, profession and mission — you’re going to have to ask yourself a lot of questions about what you want and need, what you aspire to and what you’re good at. In Cabal Fang we associate Archangel Barachiel’s rose with prayer, and to pray is to ask. The ikigai diagram and Barachiel’s rose both contain an eye, literally and symbolically. Both direct you to look within, to self examine, to view yourself truthfully, to ask for insight. If you thought this was interesting, you’d really like the Cabal Fang Study Guide (especially if you like martial arts). Bear-hug Walks for grappling strength. Set a timer for 3 rounds of 1:30/1:00. Pick up a heavy bag or sand bag, secure it in a bear-hug body lock with a good wrestling grip and pace back and forth until the 1:30 is over. Rest 1 min. and repeat twice more. Use the heaviest bag you can safely manage. If the first round is too easy, add some weight — I strapped dumbbells to my heavy bag to get there. Calisthenics pyramid. Complete a full pyramid to 7 (1 rep of each exercise, 2 of each, 3, 4, etc. up to 7 reps, then back down to 1 of each — 49 reps in total) of the following: Handstand Push-ups, Get-ups and Split Jump Squats (x2). Take as few 12-count breaks as you need in order to finish. If you can’t do Handstand Push-ups, do Jackknife Push-ups (basically get into Downward Dog and do Push-ups to your upper forehead). Yesterday morning I squatted 245 lbs with a hip belt for 3 sets of 5 and on November 3rd I did my first Handstand Push-up (videos at the bottom of the post). Not superhuman, but not too shabby for a 56 year-old who only sincerely started trying to get stronger a couple of years ago. But a while back I hit a plateau on both exercises. I was sore, tired and feeling defeated. I thought I was done getting stronger. Then I did some reading, adjusted my diet and my supplement combinations, did some serious bootstrapping, and >bang!< — plateaus smashed! What diet and supplement changes did I make? I added what I call my Power Breakfast and started using a very simple, safe and effective combination of supplements. If you’re interested in the specifics, dodge over to Patreon and get the lowdown for a donation as low as $1/month — and get access to much more patron-only and/or early release blog posts and videos! Analyze a recent dream. Pick one of your recent dreams and ask yourself what you can learn from it. Can’t remember one? Start writing down your dreams in your training journal and trust me, you will start remembering them. Example: The other night I dreamt that I was doing a a helicopter survey of an area permanently flooded months before. Everyone had left but one couple in a roofless house. I looked through my binoculars and saw that the wife was cooking dinner on a gas stove in watery mud up to her knees, and the husband was in his recliner, half in and half out of the goop. Huge snakes slithered in the muck. Husband nor wife seemed to notice. It occurred to me that they stayed because they were more afraid of the unfamiliar than they were of the muddy sewage water they were soaking in. When I woke up I sat and had coffee, all the while asking myself what harmful thoughts, ideas and habits I might be clinging to out of familiarity. Are there weasels in the workout of the week? Nope. But as you’ll see in a minute there are crabs and bears! The weasel is yours truly — because there’s so much going on around these here parts that I’m as wild as a weasel stuck in a corn bin! 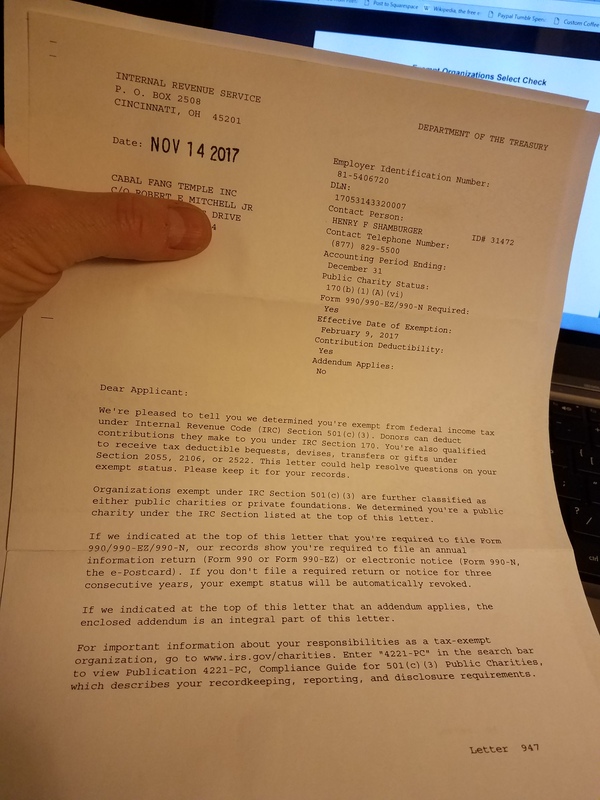 First off, the 501(c)3 paperwork came through, and Cabal Fang Temple is officially a tax exempt public educational charity. I’m about to bust my buttons! Third — and the reason I’m using all this country hick verbiage — is that I’m happier than a pig in slops with the material I’m picking up in Mark Hatmaker’s Frontier Rough & Tumble martial arts program (you’ll have to subscribe to his RAW service to get the lessons but you can get a flavor for it on his blog). What’s new is old and what’s old is new — more detail to come in future posts — but it’s fast becoming clear that some of the old world martial arts techniques I used to think were only side dishes just need a little extra pepper to look just like FRT, and then they can go smack dab in the middle of the table next to the biscuits! And fourth, I’m really making progress in the Holy Orders program at Ekklesia Epignostika. It gets more and more beautiful and enriching (and more difficult!) the further I go. More to come on that too, but in a year or so, you might be able to call me Father Mitchell. Warm-up thoroughly. Complete a full pyramid to 8 of Push-ups, Jumping Jacks and Zombie Squats (that’ll get you to 64 total of each). Heavy bag PT circuit. Put on your MMA gloves and go after your heavy bag with maximum malice, like your life depends on it, with full power and speed, until you gas out. Then crab walk around the bag in an 8′ circle twice while you get your breath back — that’s about 50 yards. Then go at the bag again to failure, followed by two bear walk circles. Another round on the bag until you gas followed by crab walks, another go at the bag and then bear walks, and you’re done — four circuits total. Take as many 12-count breaks as you need to avoid throwing up. Stretching contemplation. Walk that off until your heart rate is under 100 bpm and then do some stretching contemplation. Clear your head and stretch out as your normally would, only practice contemplation as you do so — that is, keep your 8/4/8/4 breathing pattern and let yourself “sink into zero,” the absence of thoughts. ¹ Vigny Canne is a form of walking stick self-defense? “Shake a stick?” Get it? Look, these are the jokes. They’re not near as funny if I have to tell you when to laugh! Here’s our 947 letter (with my thumb over my home address). It takes a few months to start showing up in the IRS Exempt Organizations Select Check online tool. It’s officially official — Cabal Fang Temple, Inc. is now a 501(c)3 tax exempt public charity! I say “officially official” because we were official when we formed our corporation back in February. Now we’re an officially official, IRS-recognized non-profit. What does that mean? Well it means that you can make donations the Cabal Fang Temple and they’re tax deductible for you and we don’t have pay taxes. It means that we can apply for grants (if we can figure out how!). It means that doors are opened to us that remain closed to for-profit operations. This is a great day! And now for the workout of the week. It’s still Mettlecraft Month in these here parts, so get ready for another workout that sure to stretch your limits inside and out. Grappling Conditioner #3. Set a countdown timer for 10:00 mins and complete as many sets as you can before the timer beeps of 5 Bag Lifts, 10 mounted strikes, and 5 Splay ‘n’ Punch. Here’s a video. Take as few 12-count breaks as you need in order to finish. Active Thanksgiving meditation. Set a timer for 8 minutes, assume your meditative posture of choice, close your eyes and regulate your breathing. Starting with right now, visualize your actions like a silent movie playing in reverse. What have you done lately to show your thanks? Not speak your thanks or think your thanks but to actually demonstrate your thanks by doing something? When I did this exercise I made it back two weeks and I only came up with three tangible demonstrations of thanks. Embarrassing! When you’re done, do what I did — put a thing or two on your to-do list. Give somebody a hand who helped you out, take somebody to lunch, make a charitable donation, or at least send somebody a card or a nice note. Actions speak louder than words! Workout of the Week #81 is wrapped around what we’re doing at the club this month. So, since our external focus is Mettlecraft, the PT is extra brutal and the internal work is extra challenging. If being enlightened was all just navel gazing, holding hands and singing “Kumbaya” then everybody would a flippin’ spiritual master. Real spiritual work is about self-examination, discernment, integrating the shadow, and all sorts of difficult and sometimes unpleasant endeavors. Time to sack up or back up. Note: Confused by all this talk of symbols and monthly focuses and so forth? It’s all fully explained in Cabal Fang: Complete Martial Arts Study Course from Querent to Elder which you can get on iTunes, from Barnes & Noble, KOBO or Smashwords in any format. Half-hour Pyramid. Select 4 to 7 calisthenic exercises. Less is harder because you’ll do more reps of the same exercise! So beginners = 7, intermediate = 5 or 6, advanced = 3 or 4. Set timer for 15 minutes. Climb the pyramid until the timer beeps. Finish the set you’re on, then try to climb back down before the half-hour is done. Heavybag Compass Drill. Set a timer for 4 rounds of 2:00/:30 or, if your round timer won’d to fractional intervals, use 3:00/1:00. Resist the temptation to do longer rounds — you’ll start pacing yourself, and that’s not the goal. Round 1 focus on Form. Go slow and make your body mechanics as perfect as you can. Round 2, focus on Accuracy. Pick your targets carefully and try to hit them perfectly. Round 3, go for Speed. See how many shots you can throw before the timer beeps. Round 4, go for Power. Make every shot a knockout blow. 3. 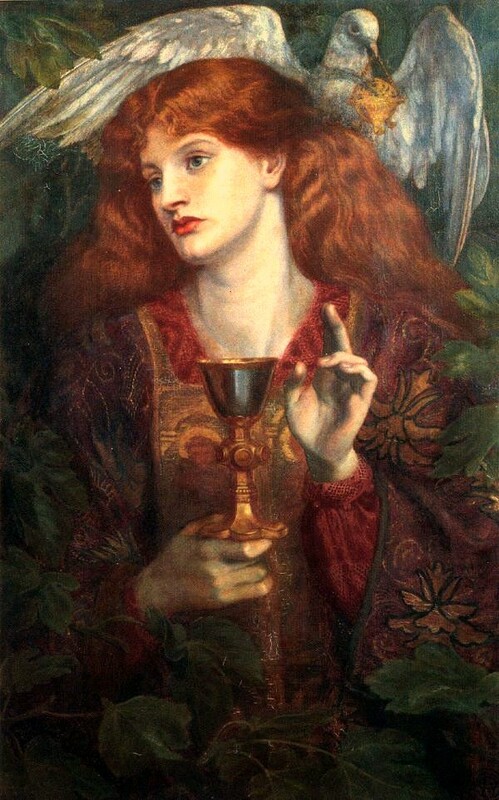 Now the chalice hovers near your right shoulder and it contains the blood of friends and heroes. Who do you associate with? Who do you aspire to become? Are you associating with, and looking up to, the right kinds of people? If not, why is that? What can you do to sort that out? 4. And finally, the chalice moves left and hovers near your left shoulder and it contains the blood of sacrifice and nourishment. Are you making sacrifices for the benefit of yourself, your family, your community and your nation? Are you respecting the sacrifices of others? Do you respect the lives of the plants and animals that have died to nourish you? Are your meals more sacred or decadent? When you’re done, record your thoughts and realizations in your training journal and add action items to your To-Do List.